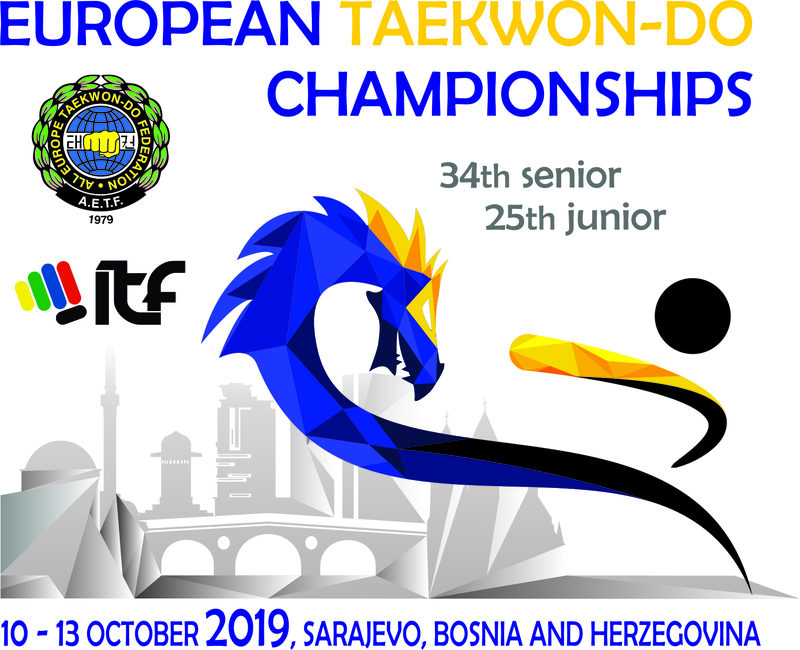 Taekwon-Do Federation of Bosnia and Herzegovina and All Europe Taekwon-Do Federation have a great pleasure to invite you to the 34th Senior and 25th Junior European Taekwon-Do Championships 2019 which will be held on the 10th – 13th October 2019 in the sports hall “Skenderija sports center” Sarajevo, multifunctional Sports Hall, at the address 1 Terezija BB, 71000 Sarajevo, Bosna and Hercegovina. Sarajevo is the capital and largest city of Bosnia and Herzegovina, with a population of 555,210 inhabitants. Sarajevo is the political, social, sports and cultural centre of Bosnia and Herzegovina, a prominent centre of culture in the Balkans, with its region-wide influence in sports, entertainment, media, fashion, and the arts. The Euros 2019 will be the first European Championships organized within the Sport Data Technology System. Registration of competitors, coaches, VIPs, officials and supporters will be coordinated by All Europe Taekwon-Do Federation and must be registered for the event through ITF-ONLINE. All NA’s can register their delegation with their log-in. : https://www.tkd-itf-online.org The registration will be open in the upcoming days. More information about the event can be found on the official website of the European Championships 2019 which will be launched soon. If you have any questions about the online registration do not hesitate to contact us at champ@pztkd.lublin.pl.